It wasn’t until the 20th century that giant pandas became known to the rest of the world outside China. After the secret of this special national treasure was revealed, the giant panda became one of the world’s most recognisable and adored animals. The phenomenon of this cute bear was so great, American fashion designer and socialite Ruth Harkness travelled to China in 1936, captured a cub in the wild and returned to the US with the first live giant panda – not in a cage or on a leash, but wrapped in her arms. The baby Su-Lin (“a little bit of something very cute”), was housed at the Brookfield Zoo in Chicago. Giant pandas are native to the lowland forests of the western provinces of Sichuan, Gansu, and Shaanxi. A solitary animal, they use their excellent noses to sniff out their fellow bears and avoid them, unless it’s breeding season, of course. Surprisingly, they are also excellent tree climbers! Giant pandas have few predators; the biggest threat to their existence is in fact, humans. Destruction of their Habitat and food, as well as poaching, drove down the number of wild pandas, putting them on the rare species list in the 1980s. They were listed as endangered in 1990. Consequently, something had to be done. The Chinese government and the World Wildlife Foundation established a network of 67 reserves across the panda stomping ground in Sichuan. It was in 2016 that the efforts truly paid off when, thanks to a significant increase in the wild population, giant pandas clawed their way from ‘endangered’ to ‘vulnerable’. 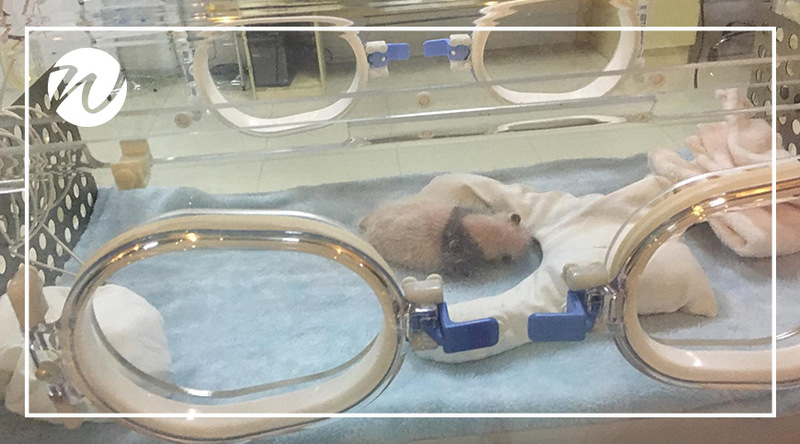 Things got even better in 2017 when a record number of 42 cubs were born in China’s panda conservation centres. Now, with over 300 pandas in captivity, the long-term goal is to begin reintroducing them into the wild. Did you know China owns every panda in the world? China takes panda conservation very seriously, they have a monopoly on panda habitation, consequently, the country has ruled that all pandas are the property of the People’s Republic of China. They began a program of panda diplomacy by renting giant pandas to sanctuaries and zoos worldwide with the aim of promoting awareness. The cost of leasing a panda from China is $1 million/year, payable to the Wildlife Conservation Association of China. In addition, if a panda cub is born outside of China, they are immediately property of China and subject to panda rent. Just 40 minutes outside Chengdu, this is one of the easiest places to see pandas. 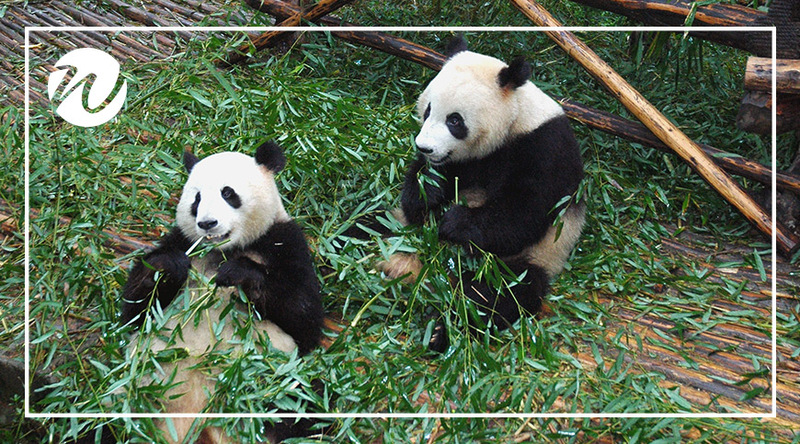 Founded in 1987, the centre started with just six pandas rescued from the wild. By 2008, the captive panda population had grown to 83. Now the breeding conservation centre is an experience-based tourism centre, promoting a combination of environmental protection and scientific research. This peaceful, beautiful environment replicates the wild with rivers, lakes, wild bamboo forests and caves. Experts will tell you how they care and protect these amazing animals as you watch them play and eat freely. An hour and a half from Chengdu, at the foot of the Qingcheng Mountains, about 40 pandas live here in large, natural enclosures. This park offers one-day volunteer programs that include feeding pandas, planting bamboo and maintaining living areas (subject to current government regulations). The lifespan of giant pandas in the wild is about 20 years, while captive pandas can survive an additional 10 years. Pandas are a symbol of peace in China. Hundreds of years ago, warring tribes in China would raise a flag with a picture of a panda on it to call a ceasefire or truce. According to Chinese legend, the panda was once an all-white bear. When a small girl tried to save a cub from a leopard, the leopard killed the girl instead. Pandas came to her funeral wearing armbands of black ashes. While they wiped their eyes and hugged each other, they smudged the black ashes into each other’s fur. Thus, creating the pandas we see today. Human activity has destroyed half of the panda’s habitat in China’s Sichuan Province since 1974. Female pandas ovulate only once a year and are fertile for only two-three days a year. Young pandas stay with their mothers for as long as three years. Consequently, this means that a wild panda may raise only three or four cubs in her lifetime. A panda’s paw has six digits; five fingers and an opposable pseudo-thumb (actually an enlarged wrist bone) which is used to hold bamboo. Some biologists believe the panda’s colors are camouflage to help the panda hide in the shadows in a bamboo forest. Other scientists believe the black and white markings help the panda keep a steady temperature. Giant pandas spends 14-16 hours a day eating bamboo. An adult giant panda weighs about 90-135 kg. A panda costs around five times more to keep than the next most expensive animal, an elephant. 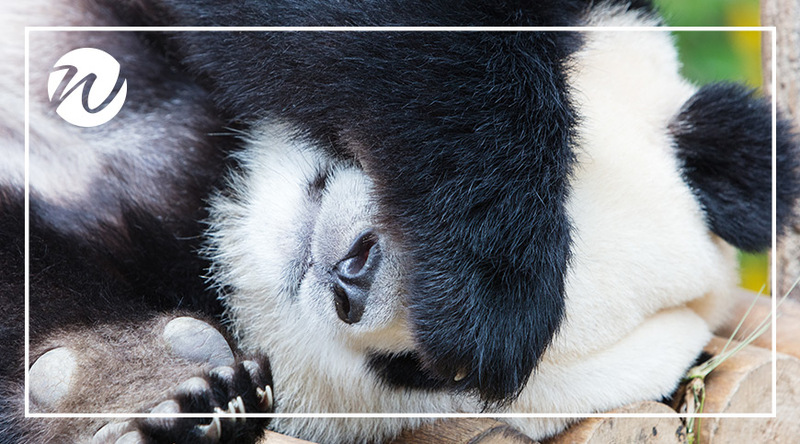 Giant pandas are a remarkable example of how conservation efforts can save species. 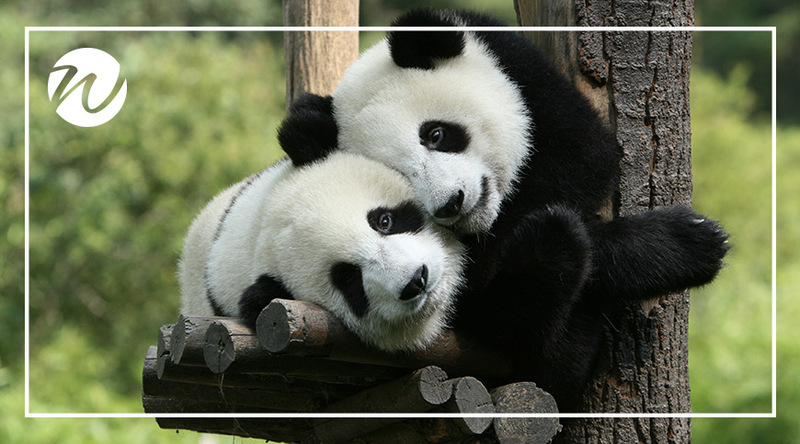 This protection has also been critical to China which cherishes the panda as its national icon. Visit the panda’s yourself! Which Section of the Great Wall? PANDAS is so cute animals! I love they! !